Being responsible for another person when they’re unable to care for themselves is an emotional and physical challenge. Whether it’s a parent, grandparent, or in law—it’s not easy. If there is a way to help ease the burden, it’s a good idea to do it. Here are three adjustments that will make in-home care easier. Whether you care for someone who has dementia or someone who can’t walk, it’s important to remove anything that could be dangerous to them. While you may not have control of all of these hazards, it’s a good idea to eliminate the risks when possible. Being aware of the potential risks will help you to know which areas you need to keep an eye on. As a caregiver, your priority is taking care of someone. However, it’s common for caregivers to feel like they have to take care of everything. Instead of trying to manage everything yourself, find ways to take the pressure off of yourself so that you’re able to focus on what matters most. For example, if you’re not a professional cook or an appliance repair professional, don’t try to be—consider meal delivery or appliance services. Instead of feeling guilty for not doing everything, lighten the burden so that you’re able to do your job without unnecessary stress. Self-care is at the top of the list for caregivers. It’s important to remember that the better you take care of yourself, the better you can take care of another person. 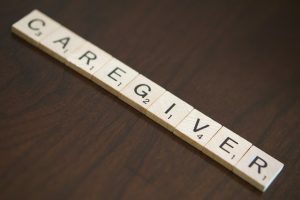 Many caregivers have a hard time when caring for their own health. If you’ve experienced any of the same issues, try to nail down the reasoning behind the problem. What makes you feel like you can’t do those things? Have you tried reaching out to others? Set goals around your health and don’t be afraid to reach out to friends and family for help.